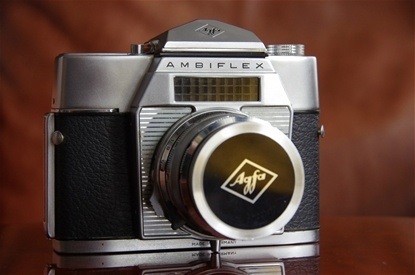 Some small and some big brands had to close during the 60s. 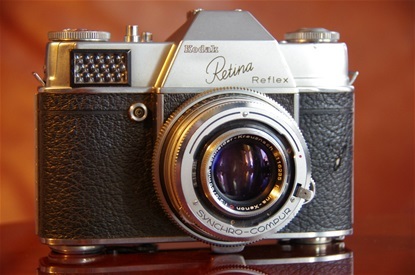 Among the big and influential were Contax/Pentacon of East-Germany, forerunner in the development of the PP SLR, Exakta, also from GDR, influential and among the first, Contaflex of West-Germany, starting the leaf shutter trend that was popular for a short while, also including Kodak Retina, Braun, Agfa and Voigtländer. 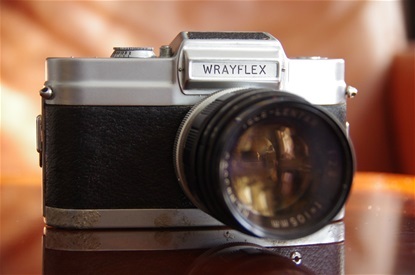 Among the smaller brands were Aires of Japan, dying with the leaf shutter, Firstflex, with its very special shutter, Krystal and Start of USSR, Wrayflex of GB and Savoyflex of France. 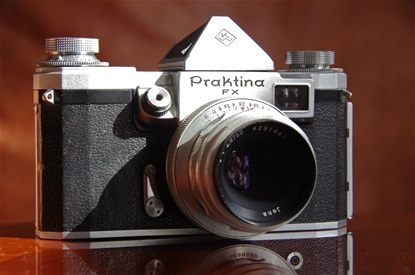 A small brand, but influential, as it was worlds first system PP SLR, was the Praktina of East-Germany. 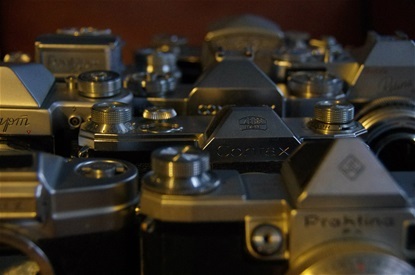 As Germany was divided into two after the World War II, the Contax brand was split, too. 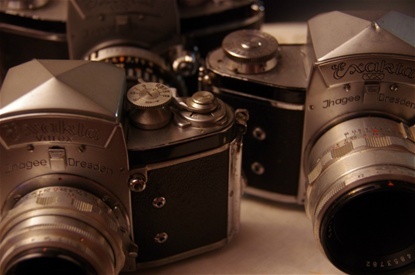 The Dresden branch in East Germany was the most innovative of the two. 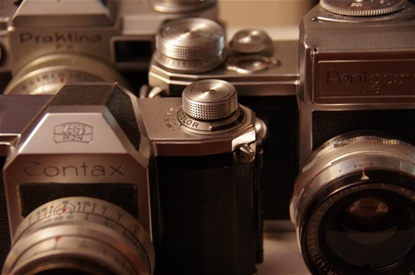 But they were denied the right to use the Contax name internationally, and chose the name Pentacon, from Pentaprism and Contax. 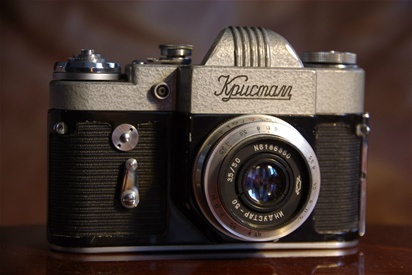 Although carrying its own name, the Krystal/Kristal of KMZ was a part of the Zenit brand series. 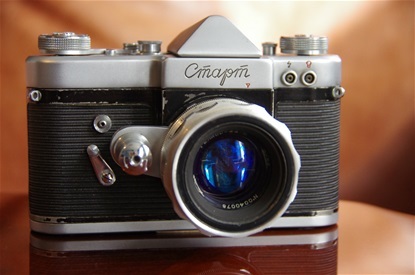 It was produced from 1961 till 1962. 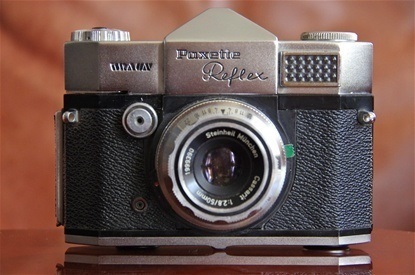 Exacta from Ihagee factory in Dresden had made the worlds first SLR waist level camera in 1936, the Kine Exacta. 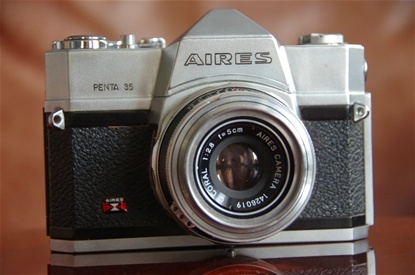 They continued to make the same type of camera houses after World War II, but added the penta prism as one of the first. 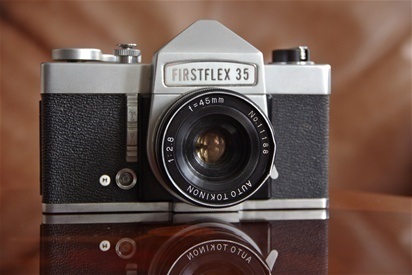 After this, little was improved, and another German brand had to close. This was in 1969. 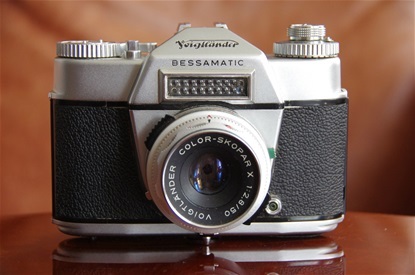 Varex sn: 679389. VX penta prism sn: 700771. VX waist level sn: 728522.